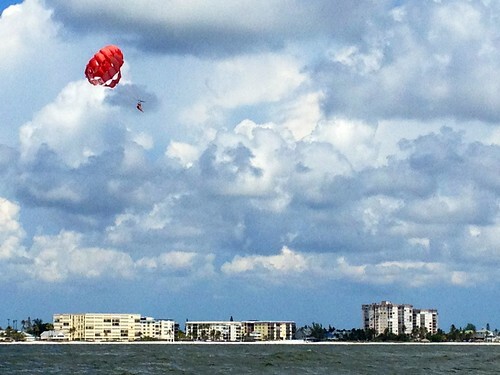 Parasailers in the Gulf, originally uploaded by Erin *~*~*. We’re heading on in – very hungry! Shorebird. He king out the parasailer, originally uploaded by Erin *~*~*. That guy is REALLY high up. 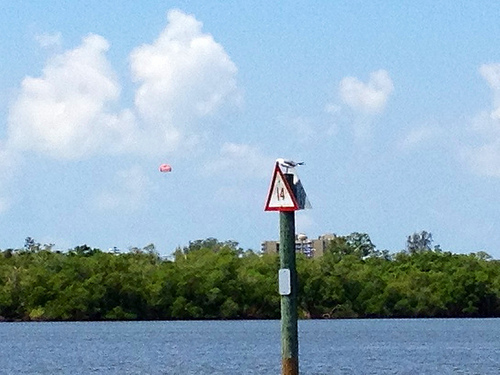 We’re wondering if they are being launched off the top of a building.